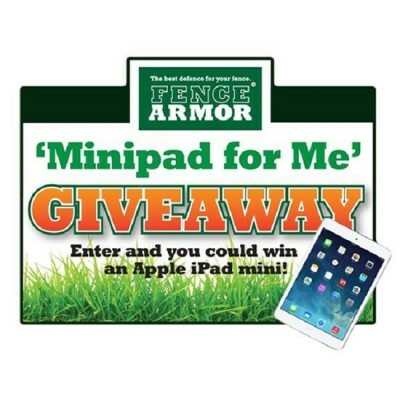 Fence Armor 'Minipad for Me' Giveaway - Legends Landscape Supply Inc. Fence Armor is giving away a FREE 16GB Silver iPad Mini! This contest is open to all residents of Canada and the United States. Click here for the details. Written on Monday, July 18, 2016.